If you're super excited about Rob Kardashian and Blac Chyna's impending nuptials, you may want to slow your roll. We could have a long wait ahead of us now that this year's most unexpected couple is finally talking about their wedding plans. During a Facebook Live chat earlier this week, Kardashian and Chyna said they're planning to get married after the baby is born, which means it'll be awhile before we get to see the only male Kardashian tie the knot. But after they explained their reasoning, it makes a lot of sense... and it's not because either of them are getting cold feet. 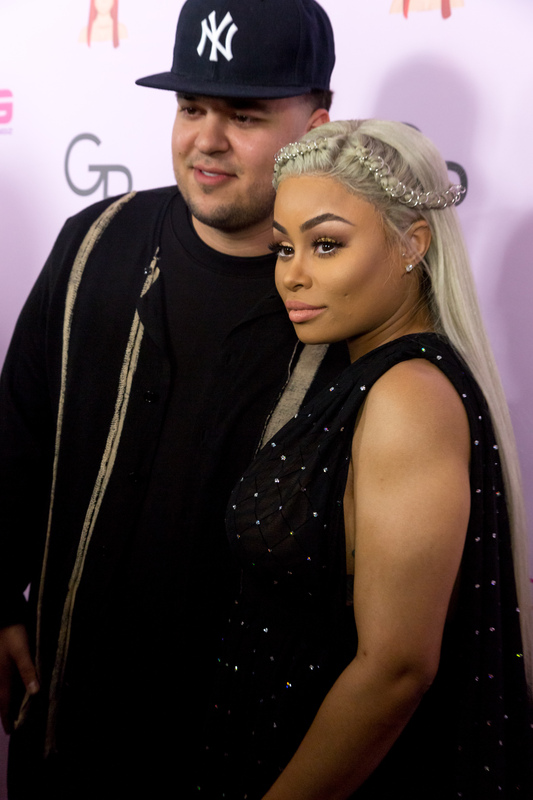 As Kardashian said in the chat, they would have already gotten married at the courthouse if it were up to him, and I'm glad they didn't, because I doubt it would have made it into their new reality show, Rob & Chyna . Instead, they've decided to hold off until after their little one makes his or her grand entrance into the world. Why? Well, it sounds like Chyna has no interest being pregnant on her wedding day because it would impede her ability to properly "turn up" at the reception and during the honeymoon. And honestly, can you blame her?! "I want to turn up after," Chyna said in the chat. "I want to turn up on my honeymoon and I want to turn up on you." It's pretty surprising that Chyna and Kardashian are waiting so long, since their whole relationship so far has been going in warp speed. No sooner did news break that they were actually dating than did they announce they were engaged, and their pregnancy news came quickly after. But if you ask me, it's a good thing they're taking their time. Having a baby is a big deal and a huge life change. It's probably for the best that they wait until they're used to caring for a newborn before they start the stressful process of planning a wedding. And since it's not happening soon, when will their wedding be? According to the bride-to-be herself, the wait isn't going to be too long. "I think next year to kind of give you guys an idea," Chyna said. "It's not going to be this year. I kinda want to get my body back." I totally support this. OK, so I wasn't the biggest fan of these two together from the start, but over time, I've definitely warmed up to Chyna and Kardashian as a couple. And if nothing else? This reality show and wedding are both going to be epic. Can't wait to see how gorgeous Chyna will look walking down the aisle!